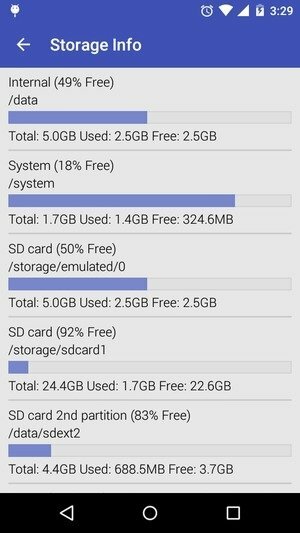 Although SD slots are becoming less and less frequent on modern smartphones, these cards are very useful to gain storage space. 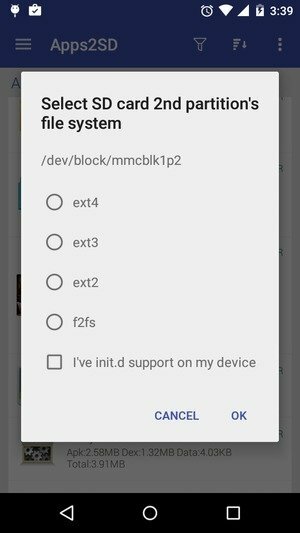 There are applications that by default cannot be installed on a card of this sort, but that's only if you haven't got Apps2SD, a tool with which you can move applications from your Android's internal space to your SD card, even forcing those that don't allow it. Release space on your phone. 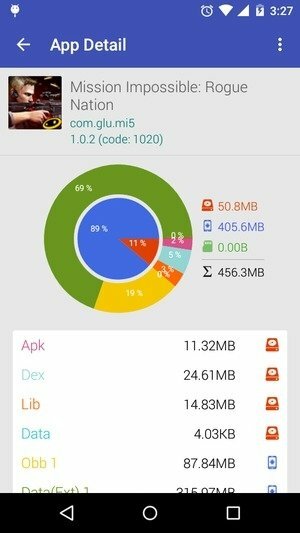 Furthermore, you'll be able to manage all the applications installed on your Android, whether on memory or on the SD card, and carry out other actions that will improve the management of your programs, becoming your favorite Android manager. Turn this tool into your default applications manager. Improve the performance of your SD Card. Test the speed of your SD card. Create partitions of the card. 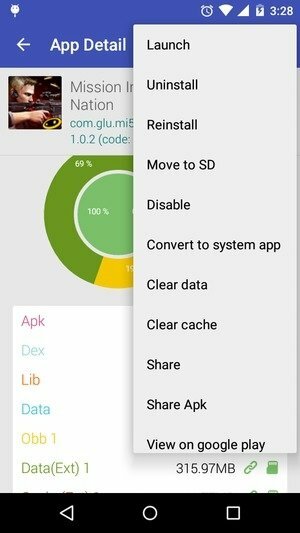 Install applications automatically on the SD. Move already installed applications onto the SD, individually or in batches. 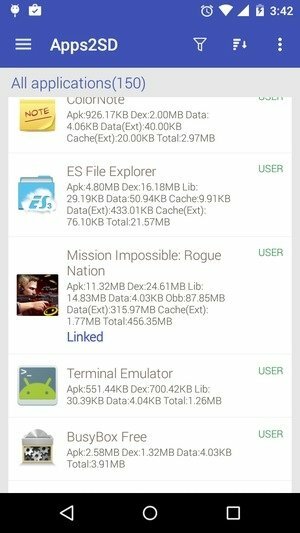 Detailed information about each installed application.